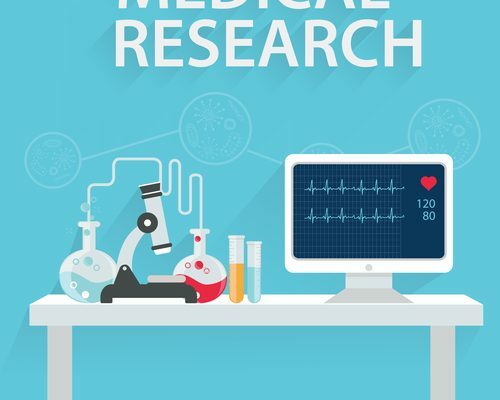 The overarching goal of clinical studies is to determine whether existing medical treatments can be modified for increased effectiveness, and/or whether new medical advancements are more effective than standard treatments. In order to address the complexities of these questions, it is important for all prospective participants to understand these important aspects of clinical trials. Researchers analyze volunteer data to determine whether a new treatment is viable. Patient eligibility is based on specific qualifications and criteria that vary depending on the study’s protocol. Inclusionary and exclusionary criteria can include age, gender, diagnosis, medical history, family history, prior treatments, and even family history. Through four study phases, researchers closely examine a treatment’s side effects and effectiveness in volunteer groups ranging from 20 to 3,000 volunteers. All participants should be aware of the possibility of receiving a placebo, which is commonly a sugar pill or a harmless, ineffective medication. Usually, one group of volunteers is given a placebo in place of an experimental medication in order to evaluate the therapy’s effectiveness. After the FDA reviews and approves the experimental medication, the treatment will continue to be studied and modified accordingly on a long-term basis. Many studies never reach the FDA approval stage because the medication is determined to be medically ineffective, and thus not beneficial to the human population. The decision to participate in a clinical study is one that should be taken seriously and discussed with your doctor. Participants should also be aware of their rights as a clinical study volunteer. This includes the right to informed consent through the Patient Bill of Rights. How will I receive the treatment? Does this treatment involve a placebo? Will there be follow-up treatments after the trial is completed? Participants maintain the right to withdraw from a study at any point but should first discuss this decision with a doctor in order to fully understand the potential consequences of forgoing the full trial in its entirety. While there are benefits and risks associated with all clinical trials, it’s important to note that key thought leaders greatly support clinical study participation. “We believe very strongly in clinical trials as an option for our patients,” says Pamela Crilley, DO, Chair of the Department of Medical Oncology at Cancer Treatment Centers of America. “We’ve learned many of the things that are now standard of care from clinical trials, and I believe that is important to see if there are any potential clinical trials for a patient.” For many study volunteers, they feel the upsides outweigh any potential concerns. You can review our Guide to Understanding Clinical Research Languageto understand common clinical research terminology. You can also contact us to inquire about current volunteer opportunities, our methodologies and any questions pertaining to the clinical study process.